No need to pour melted cheese over broccoli! 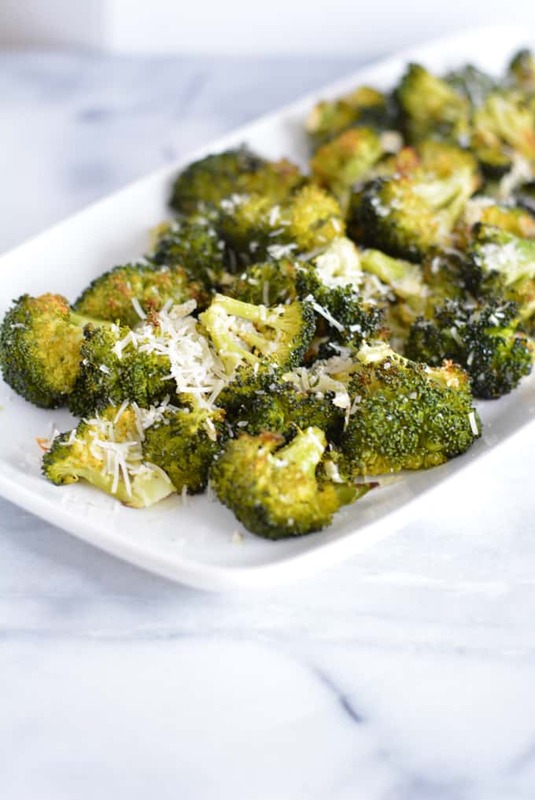 Save the calories and fat by eating roasted broccoli with Parmigiano Reggiano cheese. My son who was once a super picky eater now will eat pretty much anything. If you have a picky eater at home relax, because they may grow out of it. I’m not used to the less picky TJ. Whenever I make something new I assume he his going to turn his nose up, but in the past few years I end up surprised. Instead of eww’s I get awesome’s. 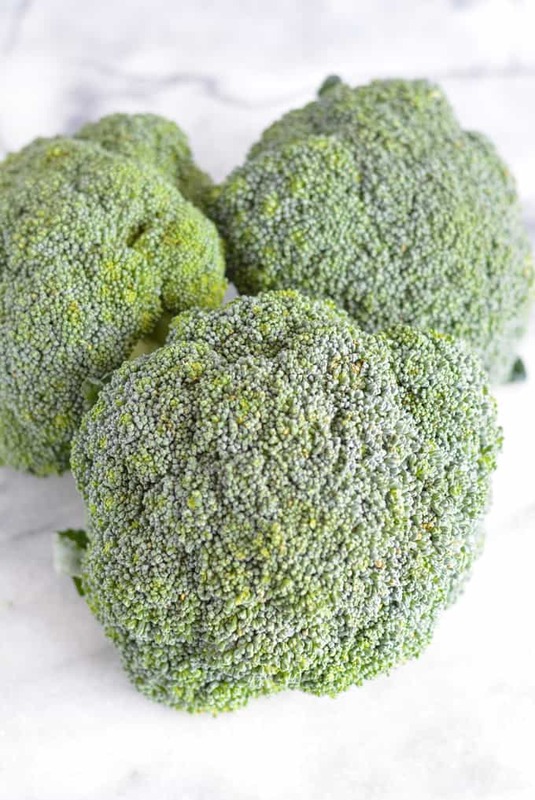 Kids often like broccoli, because they think of broccoli as little trees. The stems make broccoli easy to pick up. Broccoli was one of the first vegetables for my son to like. Simply steamed or sauteed broccoli was all I needed to make. Most of my adult clients though prefer broccoli smothered in cheese. Eating foods, especially veggies in a more simple way is something I encourage because fewer ingredients usually mean fewer calories. 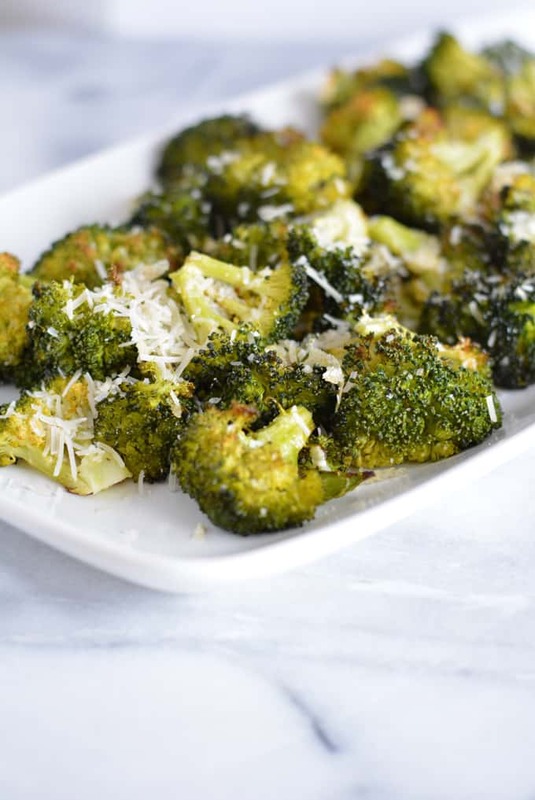 Roasted Broccoli with Parmigiano Reggiano Cheese is a good compromise. Roasting vegetables helps bring out their full flavor and retain their nutritional value. A small amount of cheese gives you the flavor of broccoli with cheese sauce without all the extra fat and calories that you would likely get from a cheese sauce. The perfect side dish to convince even the pickiest eater to eat their veggies. 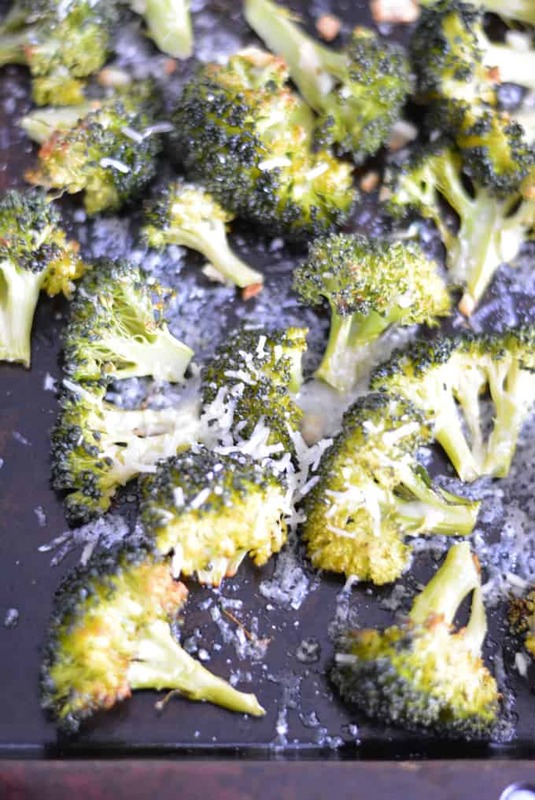 Roasted broccoli lightly dusted with Parmigiano Reggiano cheese is flavorful and easy to make. 1 large head of broccoli cut into florets. 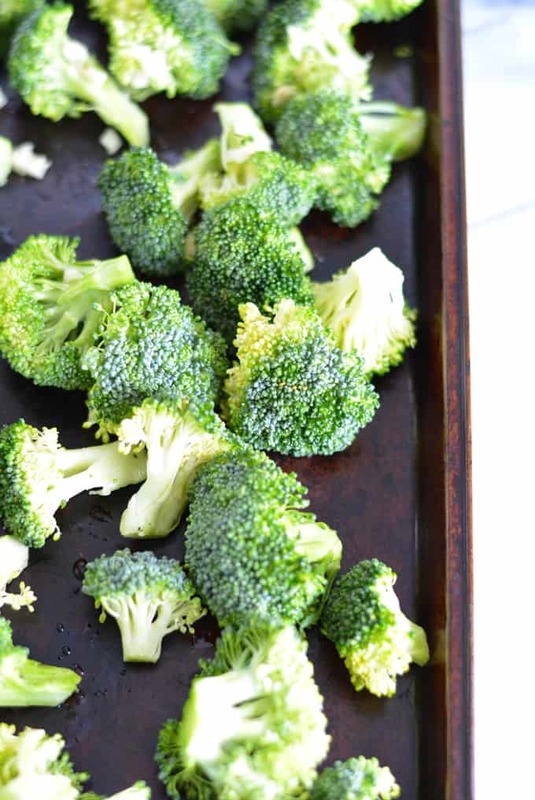 Combine broccoli florets, garlic, and olive oil in a large bowl. Toss ingredients together to coat broccoli. Spread broccoli evenly out onto a baking sheet. Place in oven and cook for about 20 minutes or until browned to your liking. Sprinkle Parmigiano Reggiano cheese over broccoli. Place broccoli back into the oven for a few minutes letting cheese melt. If you are not watching your sodium intake you can also add in a pinch (1/8 teaspoon) of salt if desired. I don’t know why I haven’t roasted broccoli before? I love roasted veggies! You’re right too, no need for tons of cheese sauce…just a nice sprinkle of Parmesan! 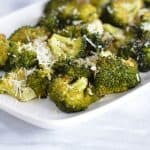 Love roasted broccoli! Such a great idea to sprinkle with the Parmigiano Reggiano Cheese! So much better than all the calories of adding cheese sauce!